With the guidance of Nurse-Family Partnership’s Debbie Brush, Kyleigh Lamb has bounced back from a teen pregnancy to keep her life’s goals in front of her while providing a loving, nurturing home for her young son, Kylen. Neil White and Michael Shirley, who tell the stories of Children’s Trust, spent a day with them earlier this year to see how effective a home visiting program can be. Kyleigh Lamb became pregnant in her junior year of high school and immediately knew her life was going to change in a dramatic way. She dropped out of her Spartanburg-area school and began taking online classes, but her motivation to continue wasn’t there because she needed to work full-time at McDonald’s to pay for her car insurance and keep her car. As she tried to figure out where her life was headed, she got a call from Debbie Brush, a registered nurse in the Nurse-Family Partnership (NFP) program affiliated with the Spartanburg Regional Healthcare System. 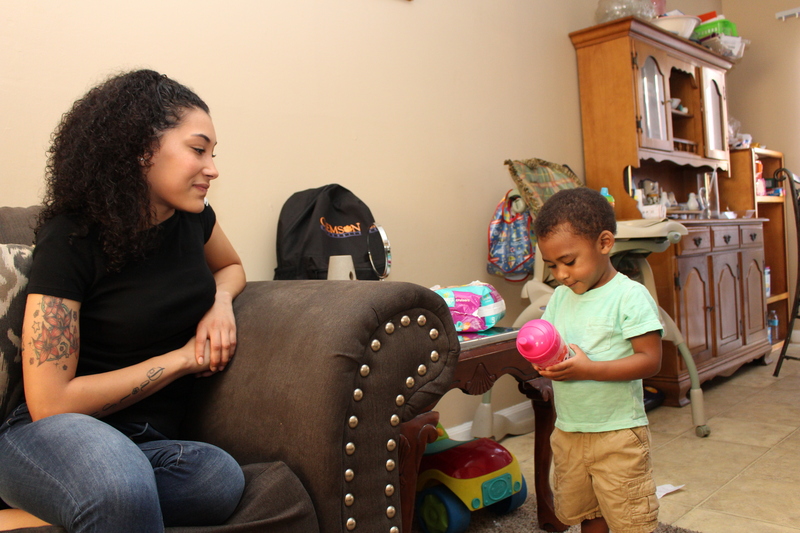 Brush wanted to enroll Kyleigh, who was 28 weeks pregnant, in the voluntary, early-intervention program, which provides ongoing home visits from nurses to low-income, first-time moms. Through the nurse, the moms receive the care and support they need to have a healthy pregnancy as well as gain skills and learn about resources related to child health and development, early education, and home safety that can benefit children physically, socially and emotionally through their first two years. 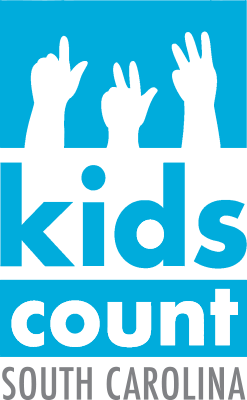 As South Carolina’s federal grantee and lead agency for the Maternal, Infant and Early Childhood Home Visiting (MIECHV) program, Children’s Trust provides funding for four evidence-based home visiting models, which include Nurse-Family Partnership, with 16 implementing agencies in 39 counties. NFP uses nurses as the home visitors, while other models use social workers or child development specialists. What Kyleigh believed would be a perfunctory relationship with Brush through the home visits turned into something much more meaningful. 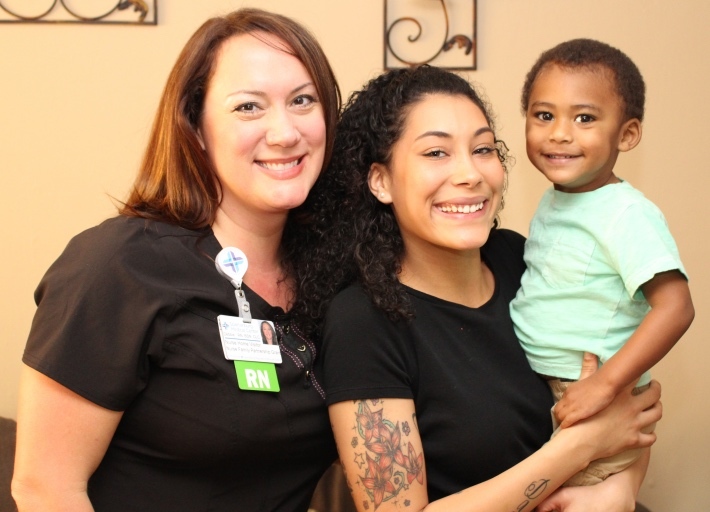 Debbie Brush, Kyleigh Lamb and Kylen have bonded through Nurse-Family Partnership, a program that connect nurses with young moms. Yet the hurdles kept appearing in front of her, as the birth of her son Kylen coincided with more difficult times. Her mother, who had been a stable presence throughout the younger years of her life, was arrested on drug-related charges and would later serve several stints in jails. With no father in her life, Kyleigh was facing the loss of her home and a possible separation from her son since she was only 17 at the time. She also was a primary caregiver for her younger sister, Khloe, who was only two years older than her baby, due to her mother’s absences during the tough times. Fortunately, she had a support system through her boyfriend, Khalil Morgan, the father of Kylen. Kyleigh was able to work out a Department of Social Services family plan, which allowed her, Kylen and Khloe to live with Khalil and his grandmother. Kyleigh has watched other friends who are teen moms struggle because of a lack of support, and she credits Khalil for being a great father and a steady presence in Kylen’s life. Khalil did whatever was needed, from changing diapers to fixing bottles to keeping his son when Kyleigh was in school or at work. Kyleigh’s energy has driven her to succeed despite the obstacles she has faced. She returned to school for her senior year, doubled up on classes, and also went through a Certified Nursing Assistant program because of an interest in the medical field. After a stint working at a nursing home, she decided her next best move was to continue her education. She enrolled in classes this semester at Spartanburg Community College, where she is studying to become a dental assistant. Kyleigh has a vision in front of her of what she wants to achieve, and it’s that ambition for a better life that makes Brush both proud and hopeful. Brush works with some young mothers who struggle with making the right decisions, who don’t have any positive influences, or who can’t escape very difficult home environments. Kyleigh’s successes are a bright light for home visitors like Brush, who can try to shape the young women that she serves but ultimately can only hope the guidance she provides is followed. Kyleigh hopes to have her own place one day. She’s pushing Khalil to finish his schooling and land a regular job. She looks at her 2-year-old son and sees so much in what they can accomplish together. He serves as a strong motivation for what she wants to achieve. As she spoke about their future, her eyes welled with tears. Kyleigh understands what Brush and Nurse-Family Partnership have meant to her life and how the relationship has made her a better mother by passing along knowledge and supplies that she could use in a practical fashion every day. Having that sounding board made her more confident in making decisions that affected Kylen. Now she’s rebuilding her relationship with her mother, who’s back home and working again. Kyleigh’s disappointment has given way to a new hope in that area of her life as well. Kyleigh and the two young children have moved back in with her mother. Brush looks at Kyleigh and Kylen and can’t help but smile. She sees the young mothers who embrace home visiting and make progress both for themselves and their children.